Sucarzit sugar is a sugar substitute with a variety of Stiva or Sucralose based ingredients. 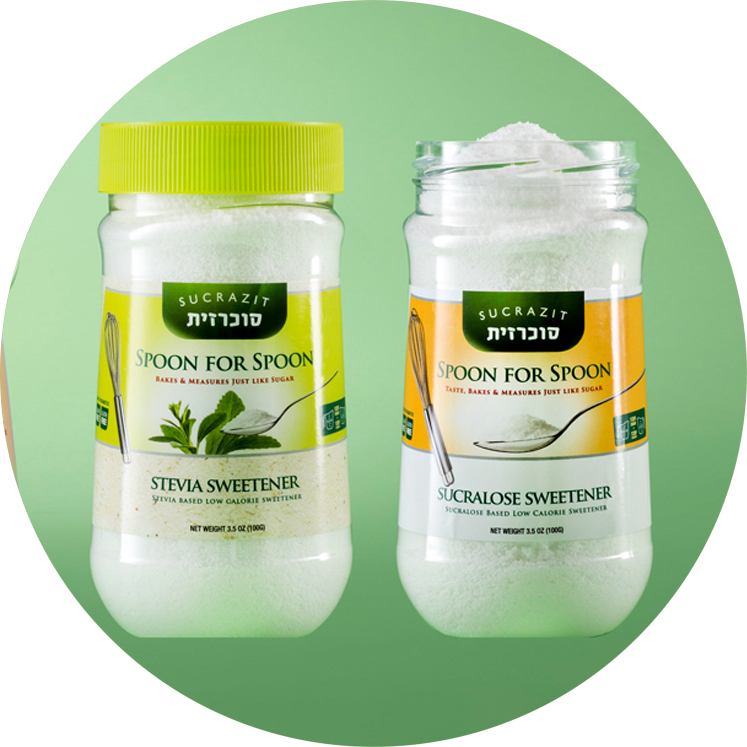 Sucarzit offers a range of different type of sugar substitute, such as spoon to spoon sugar powder, liquid sugar sweetener and sugar tablets. The Challenge was simple. 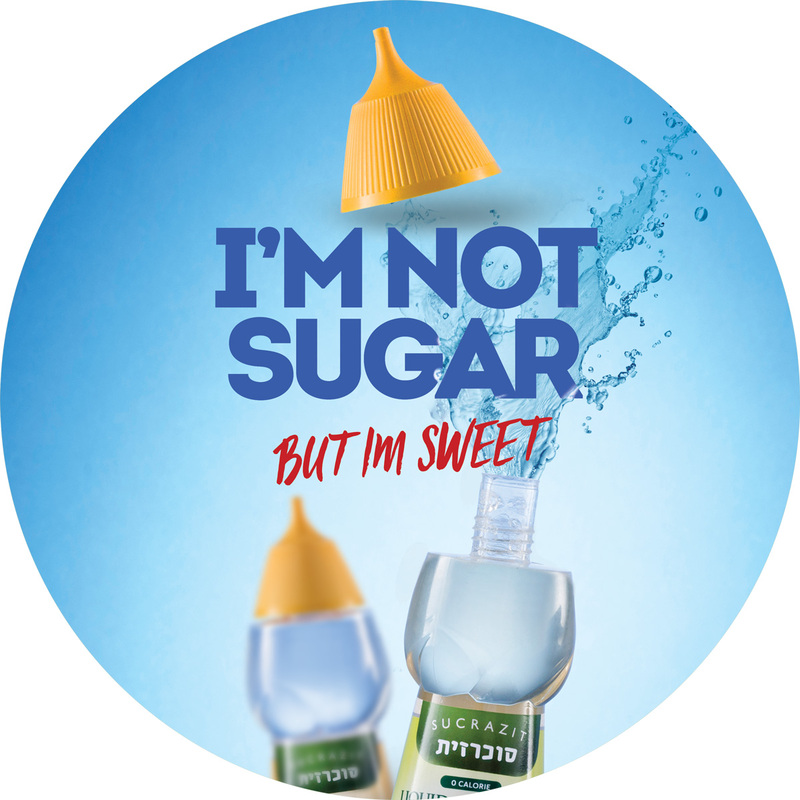 We needed to create a campaign, targeting consumers who don’t want the downside of sugar- while at the same time, conveying a message they can enjoy the products sweetness and sugary fun! Our solution was to go bold and fun! Sugar is after all sweet, and imbues a sense of excitement to your day. 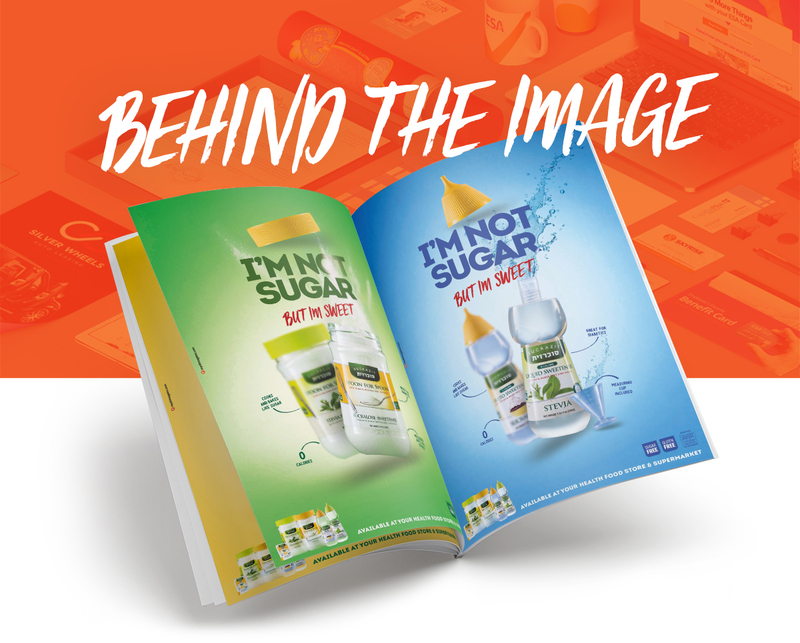 We made sure the product was featured with a splash of sugar, so viewers can expect a sweet tang! The headline is simple. 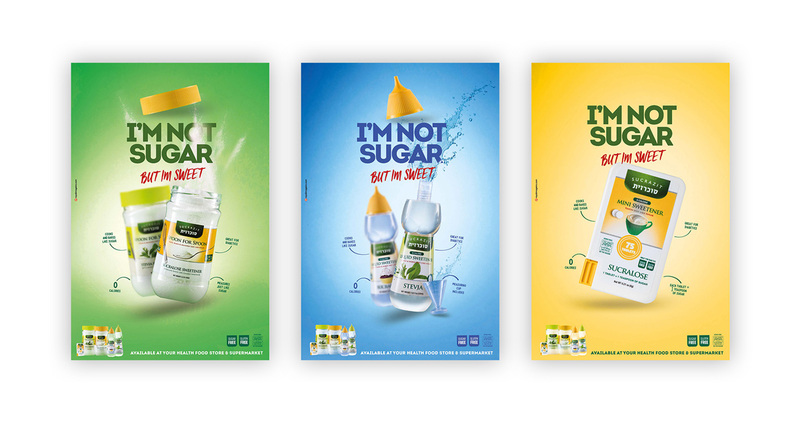 “I’m not sugar” this way the consumer knows at first glance what they’re looking at. The sub headline, “but I’m sweet” is the products way of shyly telling everyone, it’s true characteristics! Our first and most important step was to get good photo shoot. For this project we chose Sruly Rosenberg a top of the line photographer. We knew instinctively that his magic touch would add tremendous value to the final result. And magic it did! The sugary splash effect added the final step in the process. The minute we added it, the product came alive. It was almost good to go! To complete, we added some information about the product. Dressing these little details in sleek, fun typeface is as important as the main parts of the design itself! Hard work pays off, and the results are exhilarating! 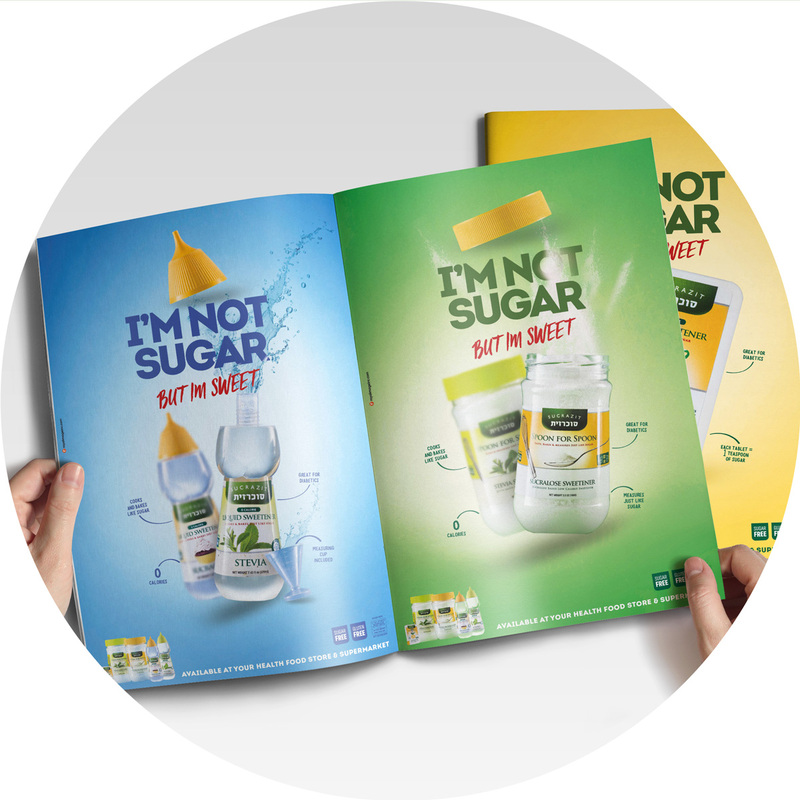 Within the first week of launching this campaign – Sucarzit was overwhelmed with positive feedback.